Batman has survived the comic world for over 70 years. He has defeated many criminals stronger, faster, tougher, meaner than him. He has a brilliant mind with extraordinary will power. He never gives up and has the respect of every superhero in the DC Universe. His deductive powers are par to none. May be the best detective the world has ever seen. He has survived defeat, a broken back, the loss of his parents, and many other things that would stop lesser men. The central fixed event in the Batman stories is the character’s origin story. As a little boy, Bruce Wayne is horrified and traumatized to see his parents, the physician Dr. Thomas Wayne and his wife Martha, being murdered by a mugger in front of his very eyes. This drives him to fight crime in Gotham City as Batman. Batman #608 – Hush Chapter One: The Ransom is the first of the Hush storyline that lasted till Batman #619 and turned Batman’s world upside down. Batman swings through Gotham City in pursuit of Catwoman, his rope is cut and he falls to the ground, fracturing his skull., His butler, Alfred Pennyworth, follows his instructions to summon Bruce Wayne’s childhood friend, Thomas Elliot, now a renowned brain surgeon. Batman recovers, and discovers that Poison Ivy had used Catwoman to steal the ransom. Batman rescues Catwoman, and a romance blooms between them. This one has Nightwing, Robin, Superman, Lois Lane, Clayface, Harvey Dent, Harley Quinn, The Riddler, and many others in Batman’s world. But the story is an introduction of the character called Hush, someone who is out to destroy the Batman. It was written by Jeph Loeb, and penciled by Jim Lee, inked by Scott Williams and colored by Alex Sinclair. Jeph Loeb’s story is very gripping and the art work is outstanding by Jim Lee and gives a great picture story amplifying the intensity of the moments. Wonderful story telling and art work. The first issue of the story arc was a success ranking 1st in the Top 300 comics for the October 2002 period with pre-order sales of 113,061. It was later collected into two volumes as hardcover and soft cover, and later in 2005 in an oversized Absolute Batman: Hush hardcover slipcase. 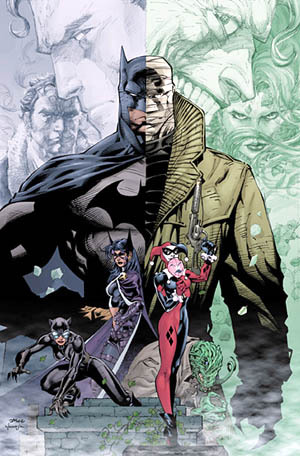 DC Comics released the story arc in one volume in August 2009. 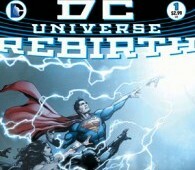 IGN Comics ranked Vol. 1 and Vol. 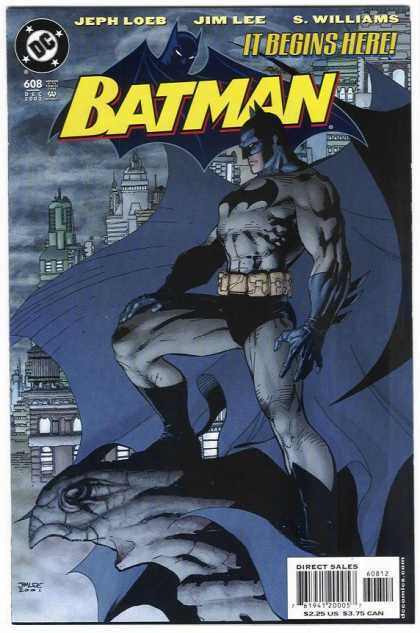 2 of Batman: Hush #10 on a list of the 25 greatest Batman graphic novels, saying that “there are some truly unforgettable moments” and “Jim Lee’s artwork is unbelievable. This already is a true classic of the last decade very deserving as one of the Greatest Comics of the 21st century. Joseph “Jeph” Loeb III is an American film and television writer, producer and award-winning comic book writer. Loeb was a producer/writer on the TV series Smallville and Lost, writer for the films Commando and Teen Wolf and was a writer and Co-Executive Producer on the NBC TV show Heroes from its premiere in 2006 to November 2008. A four-time Eisner Award winner and five-time Wizard Fan Awards winner, Loeb’s comic book work, which has appeared on the New York Times Bestseller List, includes work on many major characters, including Spider-Man, Batman, Superman, Hulk, Captain America, Cable, Iron Man, Daredevil, Supergirl, the Avengers, and Buffy the Vampire Slayer, much of which he has produced in collaboration with artist Tim Sale, who provides the comic art seen on Heroes.